We are so glad that you found us. We started our local shredding business last year, and love to help fill Orange County’s Shredding needs. Our promise is to always do our best to make you, our customers, come first. Being a local shredding service means that we are part of your community. We live, shop and raise our family in the same area. We also know that you have many options when it comes to selecting the best local shredding company, and are thrilled you have given us the opportunity to earn your business. If you do choose us as your mobile shredding service we promise you will get great service, at a great price. We are a local shredding service that is locally owned and operated(not a franchise or remote office). Our mobile paper shredding truck comes to you, that means convenience. Our shedding company is proud of the value we provide. 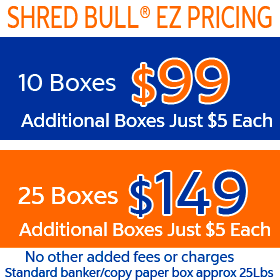 You’ll find our residential rates and our regularly scheduled business shredding pricing right here on our website. We love Orange County and we service Orange County’s business and residential shredding needs. Please call our local Orange County phone number at 949-459-FAST or (949)459-3278. Call today & we’ll shred it tomorrow!